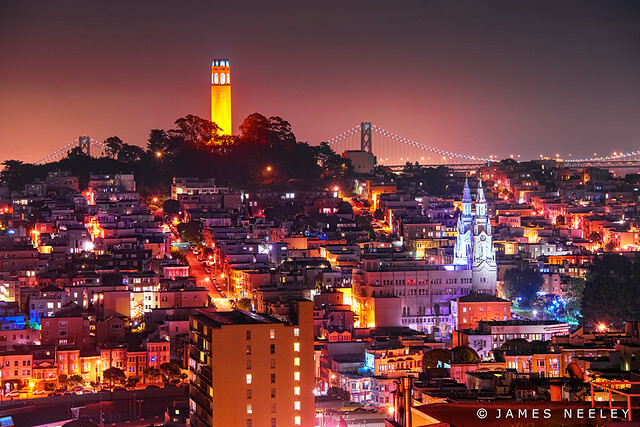 Climbing to Coit, a photo by James Neeley on Flickr. Towers are always a great subject when photographing a city. 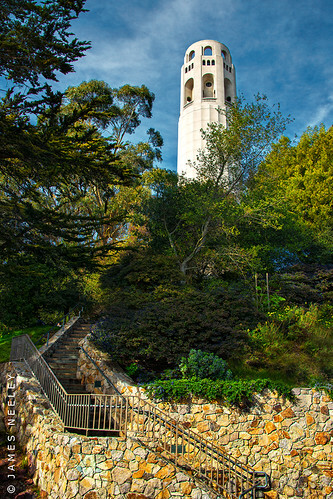 I love Coit tower in San Francisco. The challenge is to find a new perspective. This is a view of Telegraph Hill and Coit Tower taken a bit ago while on a night photography excusion in San Francisco.